Now that an agreement has been reached between the P5+1 and Iran, a non-partisan task force convened by FAS has published Six Achievable Steps for Implementing an Effective Verification Regime for a Nuclear Agreement with Iran, a report that addresses anticipated implementation challenges and offers findings and recommendations for strengthening the implementation process both internationally and within the United States. The negotiation process and the resulting agreement posed a critical question for the United States’ political and scientific communities: What monitoring and verification measures and tools will the United States, its allies, and the International Atomic Energy Agency (IAEA) require for a comprehensive and effective nuclear agreement with Iran? 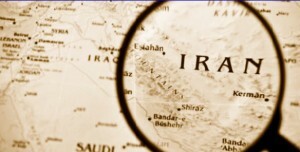 Although it is resoundingly clear that this issue is a sensitive and controversial one and there is discrepancy on the “wisdom, scope, and content” of a possible agreement with Iran, there does appear to be a general consensus that effective implementation is as important as the agreement itself, and an agreement with Iran without effective verification and monitoring measures “would be counterintuitive and dangerous” and would have negative long-term effects for all associated parties. To examine and scrutinize these issues, the Federation of American Scientists (FAS) convened the Verification Capabilities Independent Task Force that released a report last September titled Verification Requirements for a Nuclear Agreement with Iran. This new report, Six Achievable Steps for Implementing an Effective Verification Regime for a Nuclear Agreement with Iran, further dissects the issue and discusses potential strategies for successful implementation of the verification regime associated with the recent agreement. The report was released to the public on Thursday, August 6, 2015 and the Task Force hosted a panel discussion in Washington, D.C. later that day to present their findings and discuss possible implications of the agreement. Over 50 attendees from the political, scientific, and NGO circles gathered to express their thoughts and share their opinions on the issue at hand. In other relevant news regarding scientists and the agreement with Iran, 29 of the nation’s top scientists — including Nobel laureates, veteran makers of nuclear arms and former White House science advisers — wrote to President Obama on Saturday, August 8 to praise the Iran deal, calling it “innovative and stringent.” While many of those who signed the letter are prominent FAS members and affiliates, such as the lead writer Dr. Richard L. Garwin, who serves on the FAS Board of Directors, Dr. Frank von Hippel, who has served as chairman of the FAS Board, and Dr. Martin Hellman, who is an FAS adjunct senior fellow, FAS, as an organization, has not taken an organizational stance either for or against the deal. As indicated by the report released by FAS on August 6, the Task Force convened by FAS supports providing research, guidance, and recommendations for implementing an effective verification regime for a nuclear agreement with Iran. Scientists with nuclear expertise and scientifically credible analysis must continue to serve as essential components to a strong nonproliferation system that allows nations to use nuclear energy peacefully as long as safeguards commitments are upheld. The US should be excluded from the allegation verification process. It should be imposed on all other party nations and funded by a special branch of the IMF or World Bank. This will render power structures that are surely already planning to use the mostly useless expenditure as a tool for discrediting the agreement and save the US tax payers a bundle. To FAS: thanks for pulling this panel together, and circulating its recommendations. I agree with all of them, but do think an opportunity was missed to link the JCPOA with a potentially effective additional monitoring effort. Specifically, it would be good to get the agreement of Iran to contribute data from stations on its territory that are part of the International Monitoring System associated with the Comprehensive Nuclear-Test-Ban Treaty. My concern is that Iran could already have a nuclear weapon dating from the collapse of the former USSR. The number of weapons that went missing, along with enriched materials that remains unaccounted for, constitute a threat that has not been fully resolved. Focusing on building their own would be an attraction, but it’s good poker to have a hole card no one has seen or knows about. What is it that has turned Iran’s nuclear works such an important international issue in the first place, while the regime in Tehran has always claimed, unconvincingly, to have been following a totally peaceful nuclear program? The report does not seem to address the crucial question, and this makes one doubt the report’s claim that it’s not politically motivated. Iran is, regionally and internationally, an important country, but not that important to create such serious conflicts both internationally, and locally at home in the USA. Something is missing in the whole debate which no party seems to be courageous enough to point out publicly. Netanyahu’s voice has been the most courageous until now.